Assists Obesity & Other Ailments - Slow feeder bowl for dogs by SunGrow is intricately designed feeding bowl which has maze that slows them down as they eat. Speed eating will be avoided that causes various ailments to your pets. Some of these are choking, vomiting, gastrointestinal discomfort and food bloat. Enriches You're Dog's Meal Time - Your pet will be introduced to the concept of play to slow mealtime. 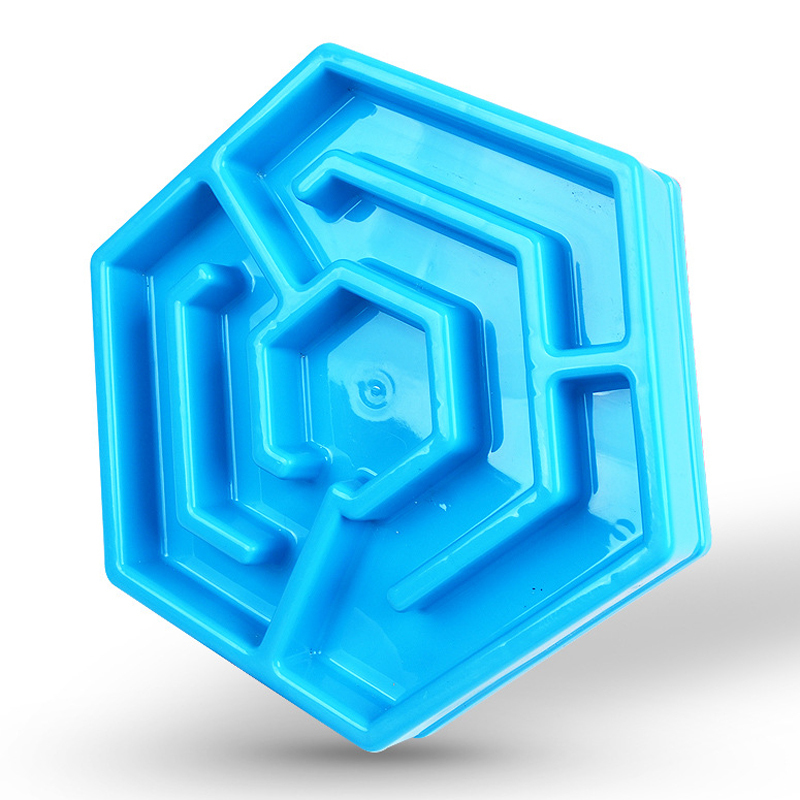 The maze makes dog to engage longer while eating his / her meal. 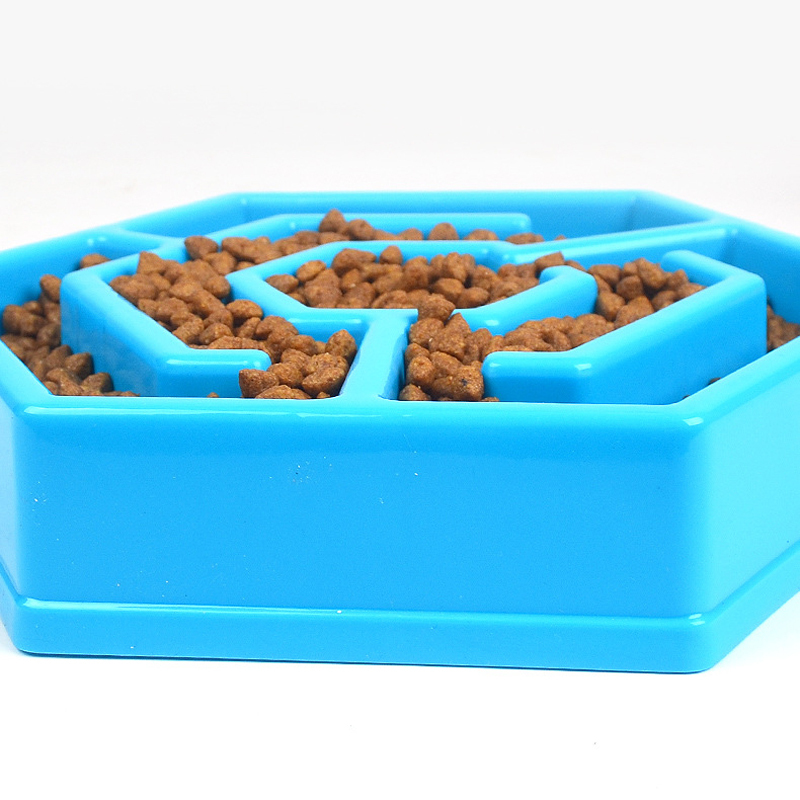 It can also stimulate your pet’s brains to solve problem creatively and “work” for their food as they go through this maze. 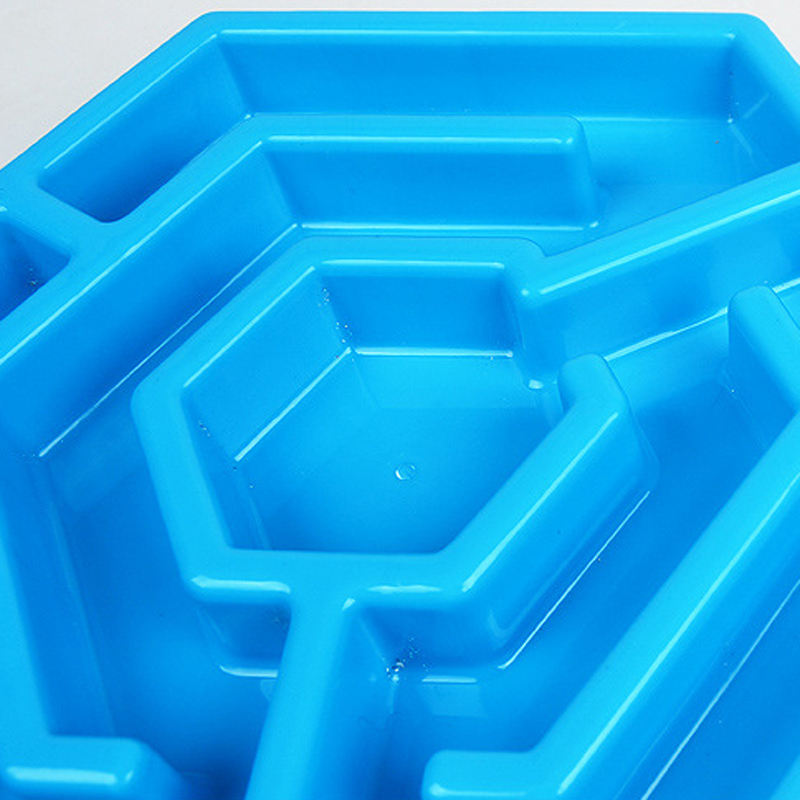 Made From Durable and Food Safe Materials - This state-of-the art feeding bowl for your dogs is made from ABS (Acrylonitrile-Butadiene-Styrene) a strong and durable plastic material that has good resistance to heat. It is also free from toxic materials such as BPA, PVC and phthalate. It is easy to clean and Top-rack dishwasher safe. Anti-Slip Base - Dogs tend to be very enthusiastic eaters and may spread their food around the floor. Having considered this SunGrow designed this eat bowl with an anti-skid base to keep the feeder bowl in place and avoid food spillage. Available For All Dog Sizes - We can guarantee that both you and your pets will love the bright color of the slow dog feed bowl. Size is 19.2 cm x 20.6 cm 4.5 cm and can perfectly work well with either small or big dogs.